Thomas Flowers loves to assist people with not only their taxes, but their overall finances as well. 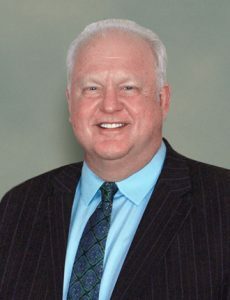 Tom is a recognized speaker who, for the past 32 years, has guided hundreds of people in solving the many retirement issues that are widespread today. Tom has many innovative strategies for planning, protecting and growing your assets. He has designed a unique team approach to retirement planning. His team creates fully integrated retirement strategies that work in all aspects of the planning process – tax, legal, financial and personal. An effective retirement plan requires much more than just getting a higher return or creating more safety. It requires a unified effort of different people who understand the client’s needs and can help meet those needs from a variety of different perspectives. Tom has been married for 31 years to his wonderful wife Gaye. He is father to one son, Jordan that also works for Wealth Financial Services and Tax Advisory. Tom’s father was in the Korean war and due to some complications from the War he died early in life and Tom had to take charge of his family’s finances from an early age. This life experience motivated Tom to seek out a career in financial planning and now his mission is to help retirees and those planning to retire reach their financial goals. He lives in Lake County but loves to travel when he can find the time. Tom gets great personal satisfaction by helping the community and volunteering 30 hours a month!